Schaff Twin Dolly Set for Full Size Upright Pianos. Our biggest seller and most popular dolly set. This dolly set is equipped with silent 2-1/2" diameter, 1" face, heavy duty ball bearing swivel rubber wheels that will fit any piano up to 15" deep at bottom exclusive of legs. Allows the piano to be raised only 3/4" higher off the floor. Well designed for perfect balance. Heavy frame construction for years of service. Inside dolly dimension 15-1/4", they measure 22-1/4" x 8-1/2" are finished in black. Select Shipping Cost UPS Ground (Lower 48 States)-Free 2nd Day Air - (Adds $159.00) International - cost will be emailed for approval. for Upright Pianos, SKU-S-4009 from PianoShowcaseOnline. The entire process went smoothly from ordering to receiving the product, which was very high quality and served the purpose for which we ordered it. In addition, the price was lower than I found anywhere else with free shipping. I highly recommend PianoShowcaseOnline for all things pian! We had struggled to move our monster upright 1800's piano from one town house to another. I was skeptical this would work, but when I bolted and attached the dolly, I could roll the piano by myself. When we moved me and my sons were amazed at the ease of rolling up the moving truck ramp, down the ramp and into our new townhouse. I couldn't believe the difference. Don't move your piano without it. We ordered this twin dolly set for our church piano which was very difficult to move when needed. This product worked great and allows us to move the piano across the carpeted area without any difficulties. We are so happy that we made the decision to purchase this product - plus the great service from the order desk and shipping. Thanks to everyone who assisted in getting this to our door!! Purchased these wheels for our piano so we could move it around the room for rearranging furniture or cleaning. They were very easy to install and are perfect for our needs. 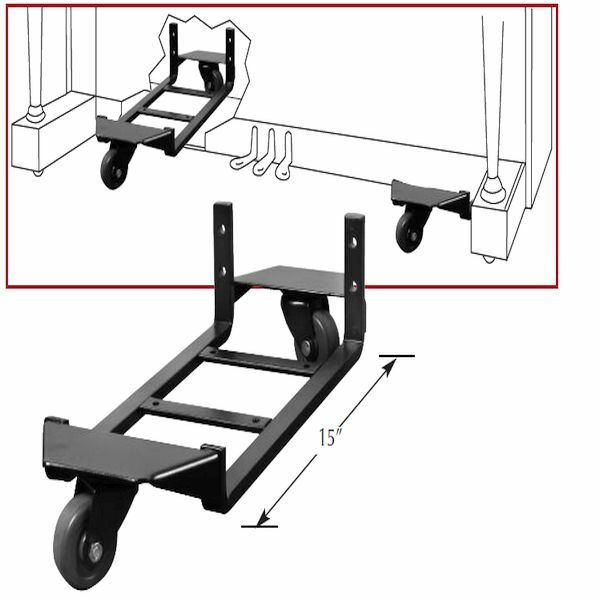 These wheels allow my wife and or I to move the piano very easily on the laminate flooring. I would recommend these for anyone that needs to easily move a piano. Purchasing was very easy and the wheels arrived quickly. I attached this dolly to an old Baldwin upright at the art center where I live. We've used the piano in a few outdoor shows and the new wheels make it so much easier and safer to get around! Very easy to install with a few strong people helping lift each end. I would definitely buy these dollies again. Very sturdy and they are close enough to the floor that it's comfortable to use pedals.